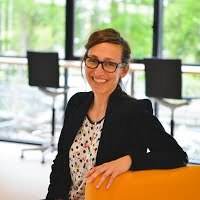 Anne-Claire Pache is the Chaired Professor in Philanthropy at ESSEC Business School in Paris, France.Her research interests lie at the intersection of organizational theory and social innovation, with a particular emphasis on pluralistic environments, hybrid organizations, and scaling-up processes in organizations. She has conducted qualitative studies in the field of social enterprises, corporate philanthropy and private foundations. She has authored several books and articles, including in the Academy of Management Review and Academy of Management Journal, Journal of Business Ethics, California Management Review and Leadership Quarterly. Before embarking on an academic career, Professor Pache was part of the co-founding team of Unis-Cité, a French nonprofit organization that pioneered youth civil service in France. Anne is also a Visiting Scholar at NYU Wagner.